If you need to perform a Nexus 5 repair the video tutorial further down the page will demonstrate how to disassemble your phone and put it back together. 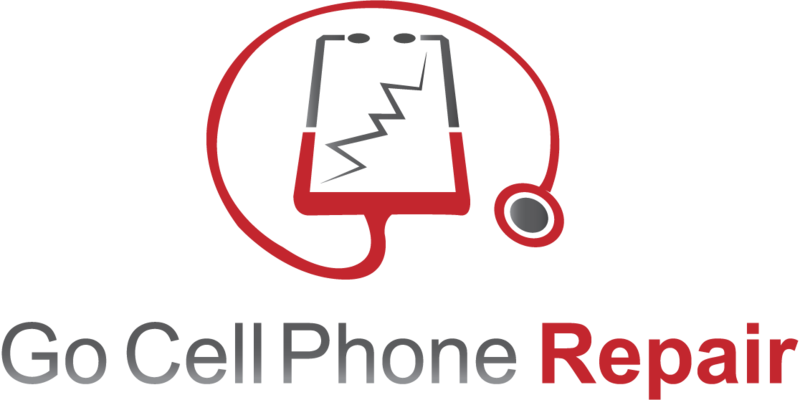 This is repair is fairly easy for the most part and can be performed with just a few basic cell phone repair tools. You’ll need a heat gun, small Phillips 00 screwdriver, both thin and medium thickness pry tools, and a pair of nylon or ESD tweezers. Using the part shown below you will provide you with a new display, mid-frame and bezel making your phone look like new in every respect other than the rear battery panel which can also be purchased separately at the bottom of this page. For this repair we highly recommend using a heat gun as the adhesive under the battery is very strong. You will have to be very patient when prying the battery off of the mid-frame and be sure to use a plastic tool. It is very easy to puncture the battery if you use something sharp or metallic like the iSesamo. The main camera also has a lot of adhesive underneath it so you will need to use heat here as well and a lot of patience. The replacement mid-frame most likely will not have all of the foil type adhesive tape that covers that back of the LCD flex cable so make sure to transfer those as well taking care not to place stress on the ribbon cable itself. It only take a very slight tear to render the display inoperable. During the Nexus 5 repair shown in the video above we did run into a few issues worth mentioning. The first time that we assembled the phone it would not power up. We put the logic board and battery back into the original housing and everything seemed to be fine. After once more installing the replacement part the phone turned on without any problem although we are still not sure exactly why it did not work the first time. Next there was a small plastic part behind the earpiece that did not appear to be removable. After we assembled the phone there was no sound coming from the earpiece during our test call. Opening the device again and transferring that plastic part did solve the problem. It just required some heat and a bit more prying to get it out of the housing. Lastly there was the odd plastic piece at the bottom shown in the image below that did not allow the rear panel to seat properly. On the left hand side is the original frame and on the right is the new one. You can see that the plastic piece where the arrow points is a bit thicker than the original. We had to modify it slightly and then everything was fine. You should however not have to worry about this nor any of the aforementioned obstacles. For some reason If you run into any problems after your repair it is a good idea to take a look at our troubleshooting page. Many questions will be answered there already. Also be sure that you put the antenna wires back into the slots located at the edge of the frame. Failure to do so can cause damage to them and unfortunately this is something that a lot of people overlook. It is always a good idea to take a close look or better yet a photo of your project before and during disassembly. This will give you a method of reference should you forget where something goes. Of course you can always watch the video again if you get lost. One other interesting thing about this repair is that the digitizer did continue to function even though the glass lens was cracked. Usually we deal with an LG smartphone very minor damage to the glass lens will affect the functionality of the touch screen. For whatever reason that was not the case with this phone so the owner was very fortunate not to be stuck without use of her phone. We hope that this is a design improvement made by LG rather than just a lucky break- pun intended. If you have any questions or suggestions regarding your Nexus 5 repair please post them in the comment section below. The glass is cracked on our Nexus 5. The phone operates fine and is responsive to touch. Is it possible to replace just the glass? Or is this an all-inclusive element that requires changing out the entire front panel? And, that there’s no way to replace just the glass? There is no easy way to do it but I won’t say that it’s impossible. You may however break your LCD the first couple of times that you try this repair. It takes practice. I haven’t tried it with the Nexus 5 yet but you could probably use a heating plate and molybdenum wire to separate the glass. Then you should be able to bond the new glass with LOCA Glue using a UV lamp. Of course the surface should be spotless before you apply the glue and make sure that it doesn’t leak into any of the components because it can easily damage them. The backlight is something to watch out for. If that goes then you’ll have to figure out how to replace it. That will require soldering. Anyhow for that much labor we find it more cost effective to just buy the whole assembly. Good luck whatever you decide to do. Hello, is there another place you rexommend to get the LCD screen and digitizer from? The one at Etradesupply.com is out of stock in the United States. Thank you. I have added a backup link below the original. Thanks for letting me know. My Nexus 5 suffers from water damage, but I know the phone is still turning on, as there is a small black glare (??) when it’s on. In addition, when I didnt know that it was still working properly, I turned it on and left it alone. But the next morning it went off to my usual morning alarms…so I was wondering if its possible for me to fix this (without losing any data would be awsomee!) and also what replacement part should I use. There’s not an easy answer for this one. Replacing the screen may or may not solve your problem depending on why it doesn’t show an image. With water damage there are many variables. The first step would be to inspect and clean any areas that are affected by corrosion. Your existing screen might even still be usable if there is something else preventing it from functioning.